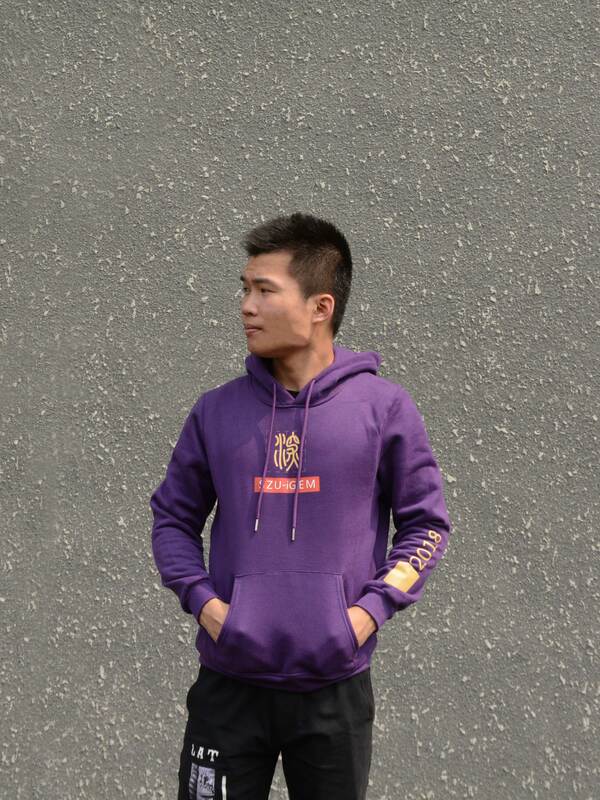 He is an undergraduate from Shenzhen University who majors in bioengineering. He is the leader of our team who is responsible and kind. 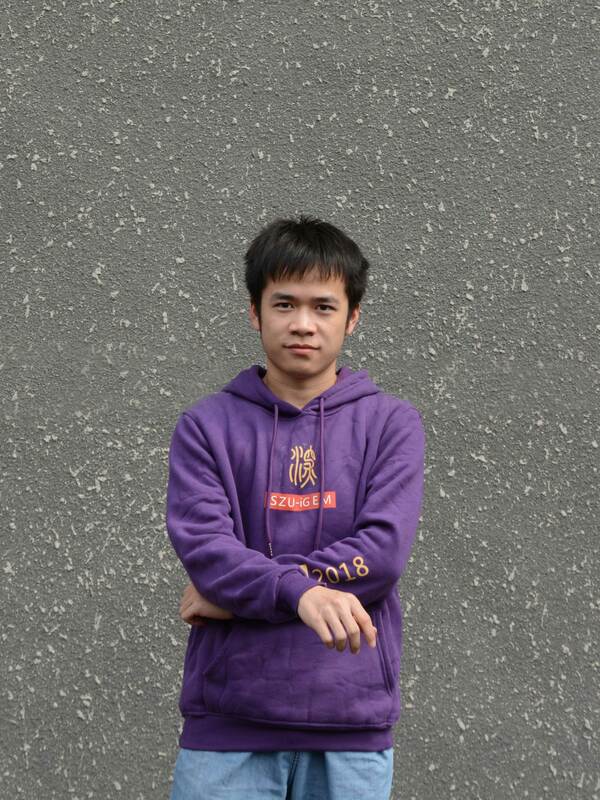 This year is the second year for him to take part in iGEM competition and he is very proud of this. He always staying up late in our lab because nothing’s gonna change his love for doing experiment. 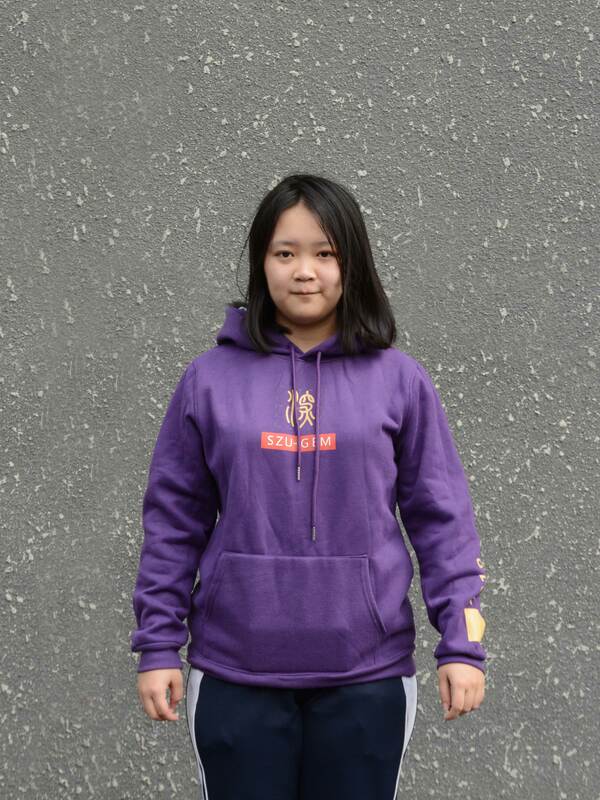 She is an undergraduate from Shenzhen University, majoring in clinical medicine. She is responsible for experiment and presentation in our team. She is very tough and independent. Nothing can defeat her except for sleep deprivation, but she always stays up during experiment and final month. She believes in rationalism and acts rationally all the time. She dreams of being a great doctor and work for MSF one day. 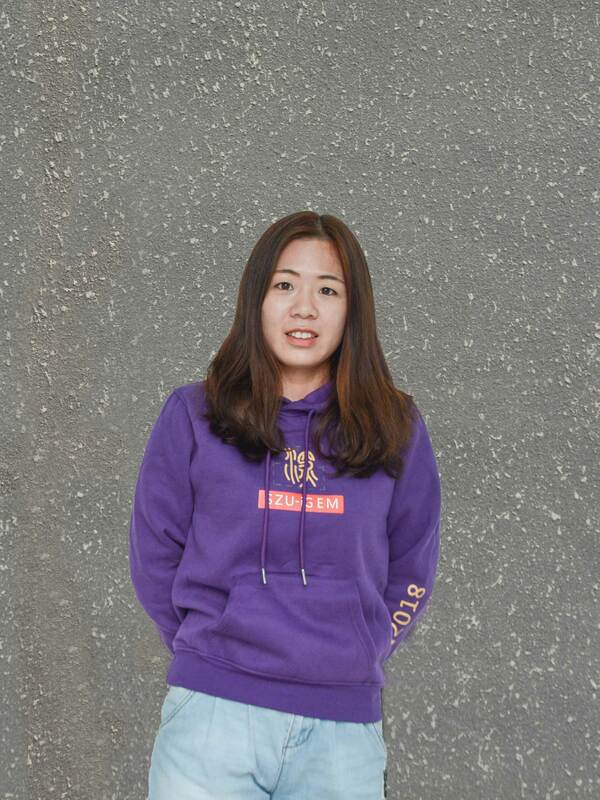 She is an undergraduate from Shenzhen University who majors in clinical medicine. She is responsible and capable and always pushes the team and herself to try new things. She is usually tough but not in front of the delicious food so if your project this year is about losing weight then you might see her at your poster. 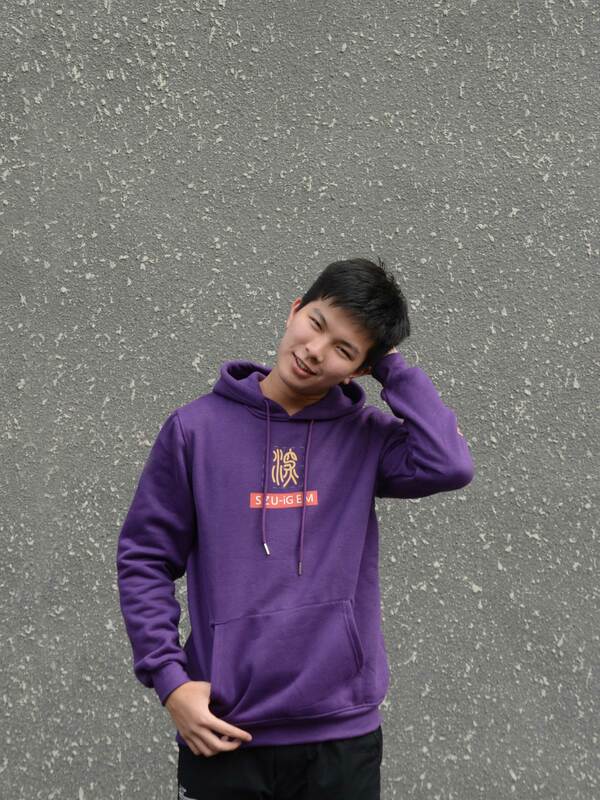 Jianting Huang is an undergraduate from Shenzhen University, major in biotechnology. He is responsible for human practice in SZU-China. He is very social and popular everywhere. He has dual-degree in CS. In a word, he is awesome. 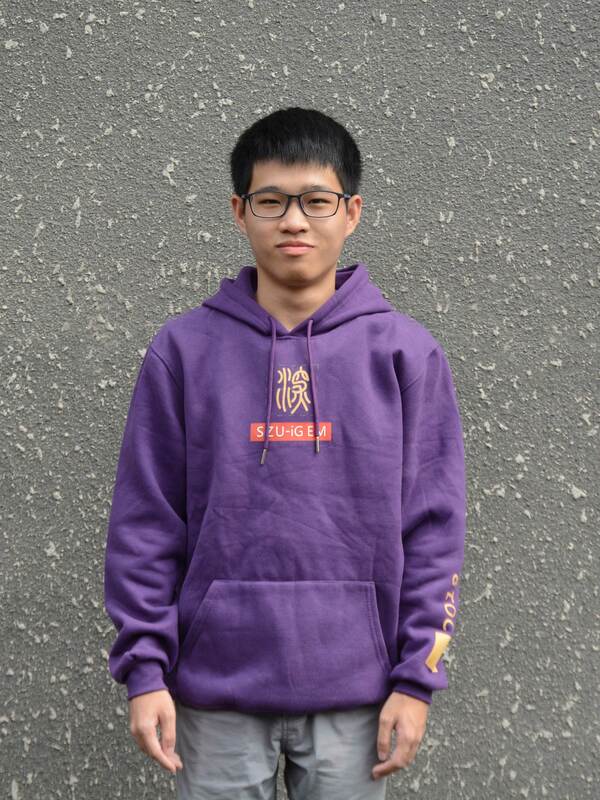 He is an undergraduate student from Shenzhen University who majors in biotechnology. He has extensive experience in designing processes and organizing events, and he is responsible for Human Practice design and execution in this project. He is expert in telling some interesting stories. He enjoys writing short essays to express himself in his spare time. 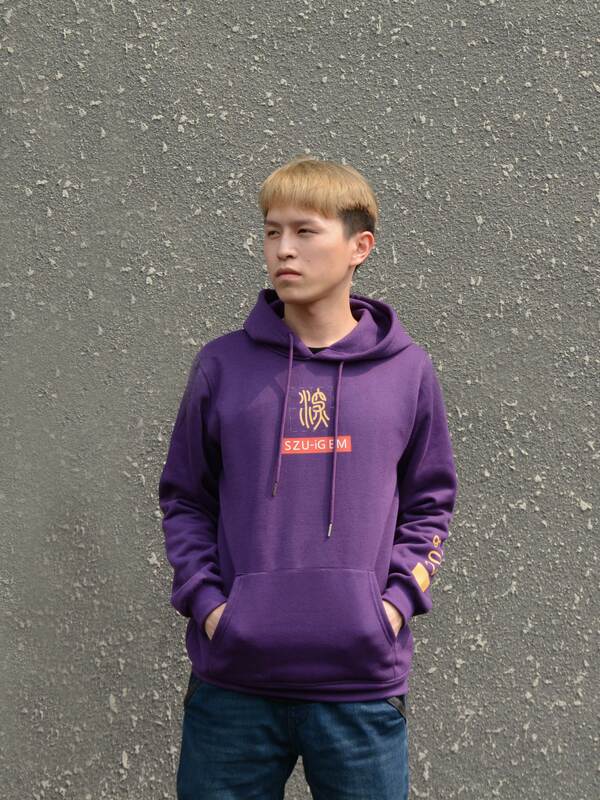 He is an undergraduate from Shenzhen University's Institute of Advanced Study, who majors in biology and physics. He is a creative person and contributes to the dry lab. He is interested in the interdisciplinary nature of synthetic biology. 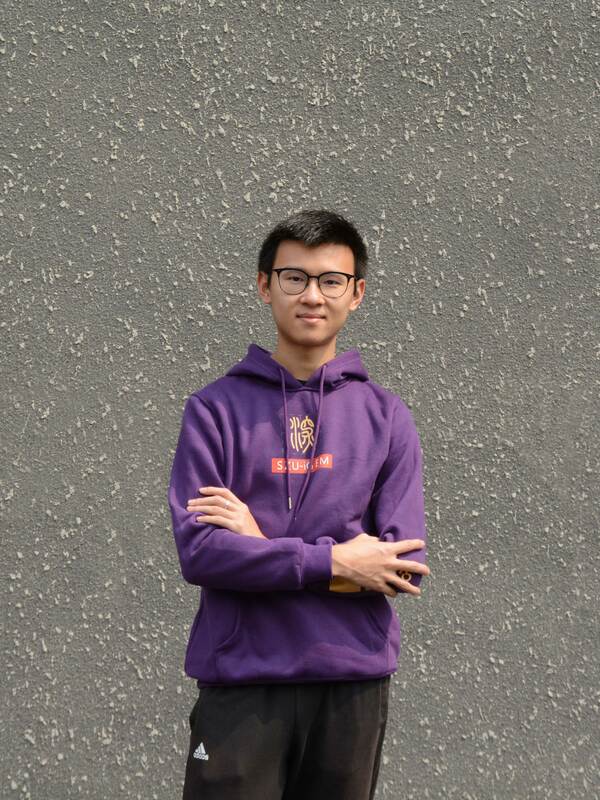 He is an undergraduate from Shenzhen University who majors in bioengineering. He is conscientious about the experiment and enthusiastic to help other teammates. But he is an obsessive and always want to tidy up many things in the lab. As for dreams, he just wants to be a big boss in the future. 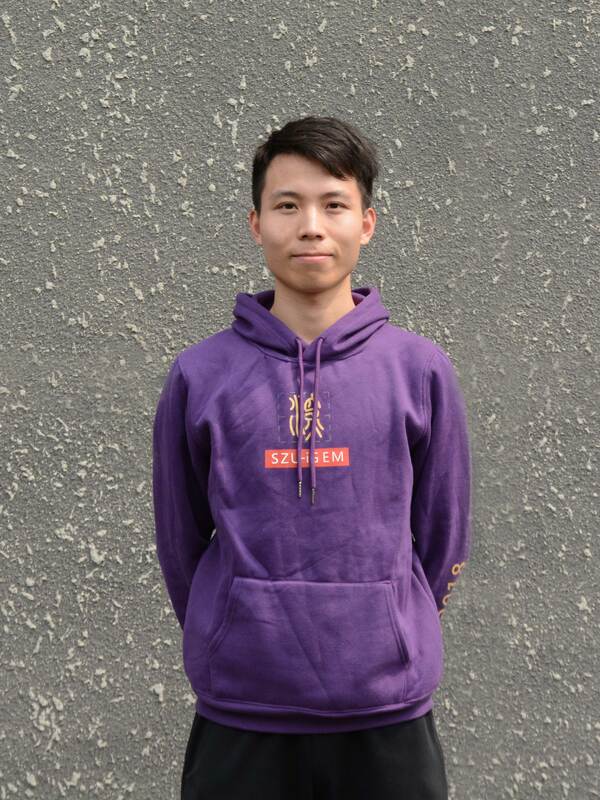 He is a junior in computer science and software engineering at Shenzhen University. He is not very handsome but has a funny soul. He likes to challenge exciting things and experience different living environments. At the same time, he also longs for the regular and temperate life of the army. 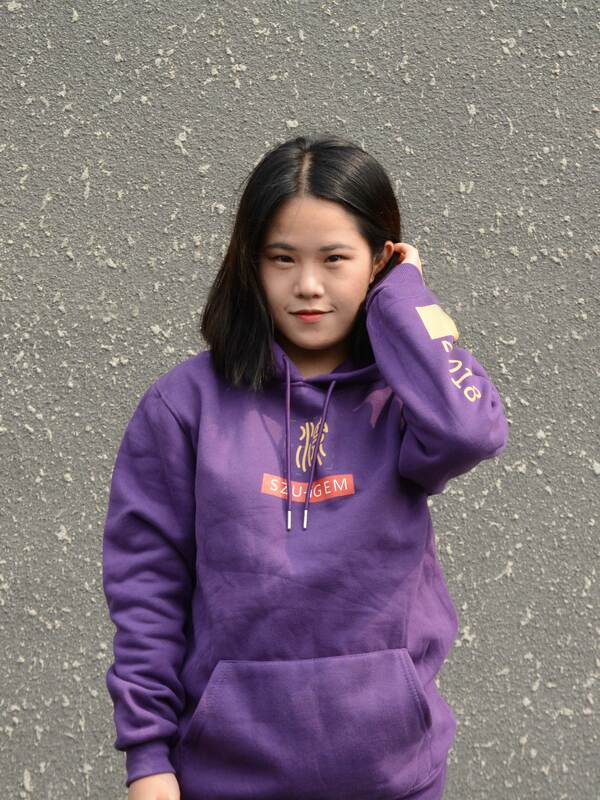 She is an undergraduate from Shenzhen University. She majors in physics but is responsible for software development in our team. She likes to explore programming and uses it to implement ideas. She loves cats and has two cats of her own, Pido and 66, she often helps stray cats. 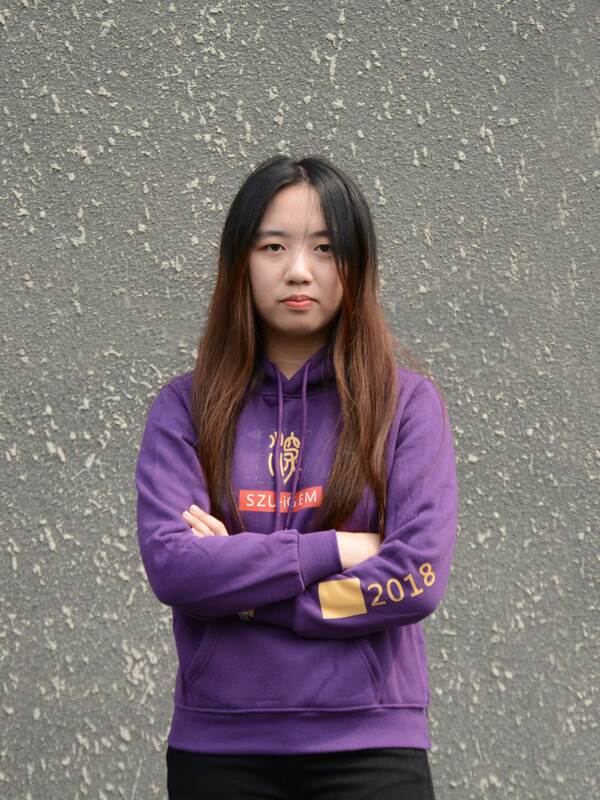 She is an undergraduate from Shenzhen University who is also the youngest in the team. Within the team, she worked on all kinds of design. Music, drama and animation take an important part of her life which is also the key of her inspiration. Though is a little bit shy and not so talky, she does have a creative mind and enjoy trying new things. 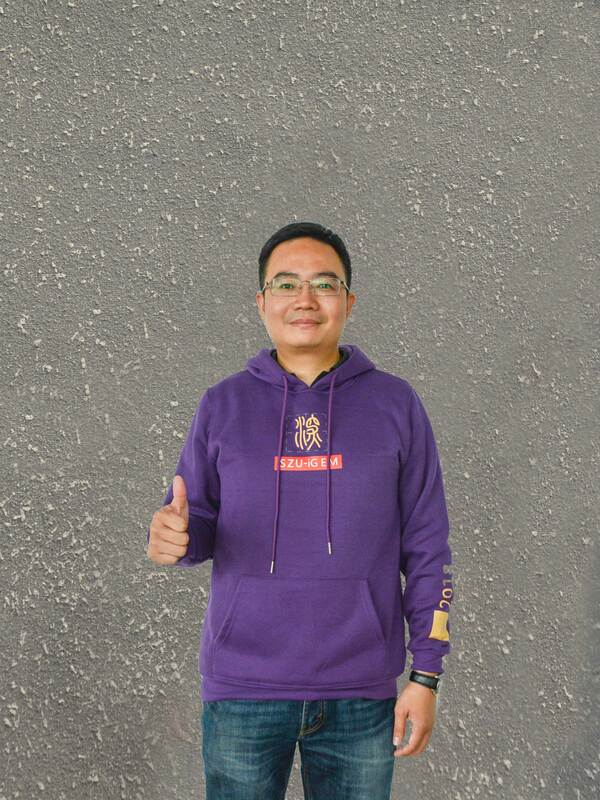 He is the Deputy Director of the experimental Teaching Center of Biological Sciences, Shenzhen University. He is a wonderful teacher. 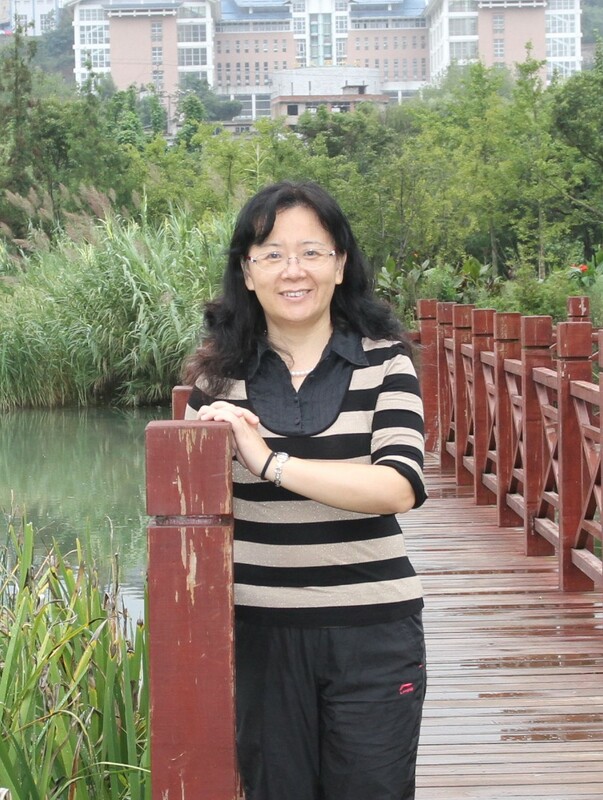 Dr. Ning Xie, professor in the College of Life Science，Shenzhen university, China. 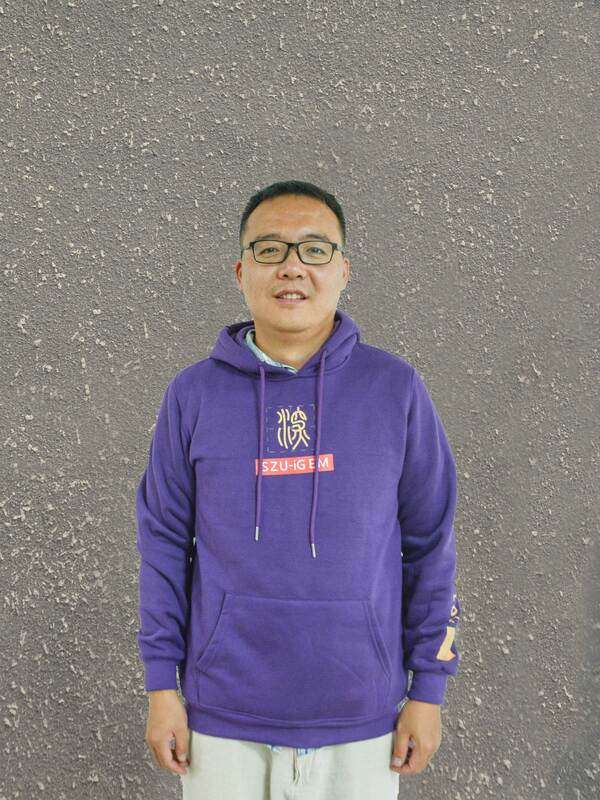 He is really willing to provide help for students. Professor Mo, the vice-president of College of Life Science in Shenzhen University, keen on the reserch of epigenetics. 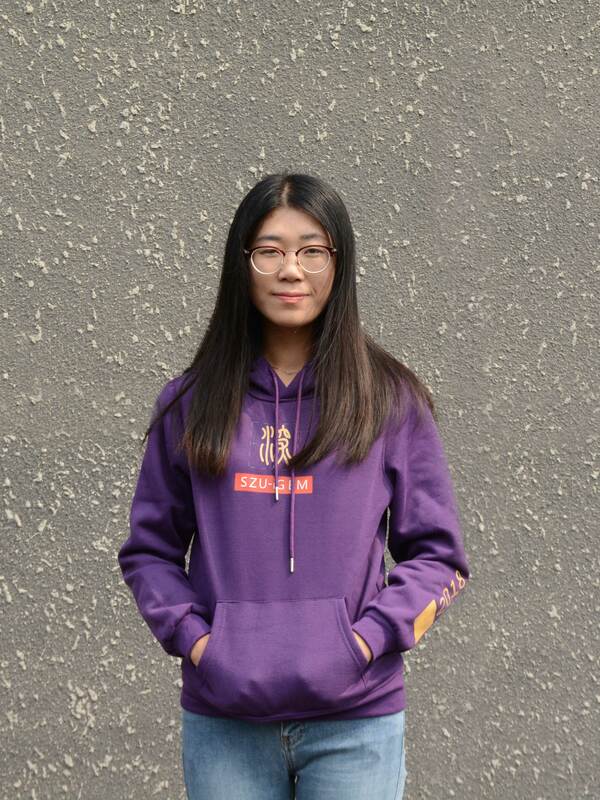 She is a postgraduate in chemical engineering and biology who come from SZU-China. Her current research interests are molecular biology, bioenergy. The girl is enthusiastic about science. 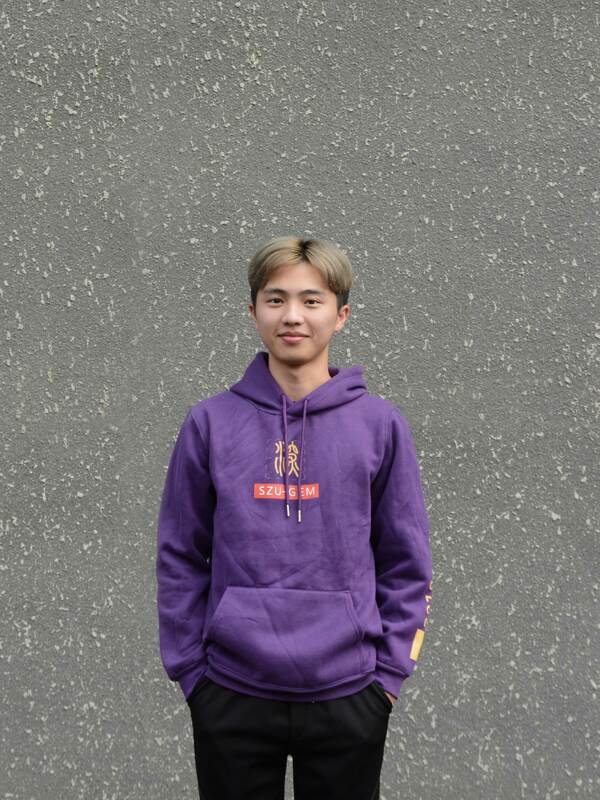 He is an undergraduate from Shenzhen University who majors in clinical medicine. He is responsible and diligent and has a thing for basketball. He is open to public basketball challenges, so feel free to contact him.